General news page, covering events, conferences and non-product specific news items. There is also a product related news page. Links to news items from previous years can be found on the Archive Page. Venue: International Centre, Telford This event is of interest and relevance to all healthcare professionals who are involved in tissue viability and wound management. During the two days you will hear from a variety of speakers who will address topical, practical aspects that everyone in this growing speciality is facing. YORK, Pa. and TORONTO, Nov. 30, 2009 â An expert panel assembled to explore Skin Changes At Life's End (SCALE) today announced the completion of a final consensus statement designed to facilitate the implementation of knowledge-transfer-into-practice techniques for quality patient outcomes. Launched in April 2008 in Chicago with an unrestricted educational grant from Gaymar Industries, members of the SCALE Panel have concluded that there are observable changes in the skin at the end of life, and they used a modified, three-phase Delphi Method approach to reach consensus on 10 statements. The SCALE Panel determined that current understanding of this complex phenomenon is limited, and additional research is necessary to assess the etiology of SCALE, to clinically describe and diagnose the related skin changes, and to recommend appropriate pathways of care. Also, the panel recommends that clinicians, laypeople, and policy makers need to be better educated in the medical, social, legal and financial ramifications of SCALE. The SCALE Final Consensus Statement as well as an annotated bibliography on SCALE are available from the Gaymar website at gaymar.com/SCALE. âEducating clinicians, caregivers, families and patients about end-of-life skin changes can help everyone prepare for, address and accept that skin changes often accompany the dying process and cannot be prevented from occurring,â noted Dr. Diane Krasner, an internationally recognized expert in wound care and co-chair of the SCALE Panel. The SCALE Panel encourages distribution of the SCALE document to healthcare professionals and stakeholders, and also welcomes feedback on the Final Consensus Statement. Comments may be directed to Dr. Krasner at dlkrasner@aol.com. There will also be hands-on demonstrations and clinical wound care training sessions. The course will be held at the Meditech International Inc. Research & Education Centre and Wound Care Clinic, Toronto, Canada. Places are limited to 30. To register, please contact Sandra Pileggi on 001-888-557-4004 or by email at training@bioflexlaser.com. For further information and training dates, please visit www.bioflexlaser.com. Sponsored by MÃ¶lnlycke Health Care and endorsed by the European Wound Management Association, this global, web-based education programme aims to support pain reduction strategies in wound care. The goal of the initiative is to help professionals improve the quality of life for their patients by raising awareness of dressing-related pain and presenting tools to achieve changes in practice. The Less-Pain Academy is aimed at healthcare professionals involved in dressing-related procedures and provides free access to e-learning modules, live seminars, news, the latest research and best practice information. Users can register to receive the free newsletter. For more information or to register for the Less-Pain Academy, email info.less-pain@molnlycke.com. To access the website, go to www.less-pain.com. The Wound Essentials 2009 Summer Conference will be held on 23rd June at the International Centre, Telford. The programme will include the Wound Essentials Conference and an Infection Control in Wound Healing Conference supported by Activa. Please note that this conference is free to readers of World Wide Wounds. This conference offers an excellent opportunity for all nurses and podiatrists interested or involved in the management of wounds to come along and hear experts in their field present on a wide range of subjects relating to tissue viability. The event will be supported by a large exhibition which will allow delegates to keep up to date on the latest treatments and products available in the UK. To book your free place, please complete the booking forms and fax back to Wounds UK on 01224 637 378. The Infection Prevention Society is running a series of master classes around the UK and Ireland during 2009 and 2010. These events will deliver practical advice to healthcare professionals on how to implement the NICE recommendations to reduce infection rates and improve patient safety. The events are aimed at infection prevention practitioners, theatre managers, surgical ward managers, tissue viability nurses, medical directors, theatre infection prevention nurses and others. For more information on the master classes, including dates and locations, contact the Infection Prevention Society on +44 (0)1506 811077 or ips@fitwise.co.uk. If you are interested in exhibiting at any of the events, contact Paul Harrison at paul@fitwise.co.uk or on the number above. The above convention, to be held at the Hyatt Regency in Adelaide, South Australia, is themed Ripples to Revolution: from bench to bedside. This event will bring together evidence-based researchers and reviewers, guideline developers, clinicians, educators, policy makers, administrators and consumers from all over the world. It will aim to look at developing an integrated approach to improving global health care using evidence-based guidelines. Abstracts for an oral or poster presentation will be accepted until 22 May 2009. The Joanna Briggs Institute is an Australia-based international non-profit research and development agency dedicated to promoting and supporting evidence-based best practice in healthcare around the world. 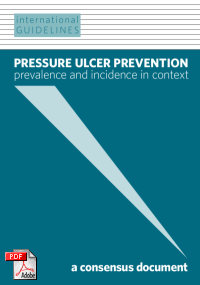 The consensus document, International Guidelines â Pressure Ulcer Prevention: Prevalence and Incidence in Context, was developed following a meeting of an international group of experts in pressure ulcer prevention and treatment. It is the first comprehensive publication of international best practice for performing prevalence and incidence studies on pressure ulcers, and was introduced at the Biennial Conference of the National Pressure Ulcer Advisory Panel held February 27-28 in Washington, D.C. The document is of interest to all those involved in the field of pressure ulcers, including those who deliver healthcare, conduct research and develop policy. It is hoped that it will contribute to accurate, standardised data collection and valid interpretation, and will ultimately reduce rates of pressure ulceration worldwide. It is currently available in English. French, German, and Italian editions will be available shortly. The document will be available at KCIâs web site (www.kci-medical.com) and at Medical Education Partnership (www.mepltd.co.uk), or email info@mepltd.co.uk for further information. This not-for-profit foundation offers clinicians and researchers funding opportunities for the development of a local project that will be of benefit to the wound care community. The fund will be awarded by the UK Board in two subject areas: Clinical and Scientific. The clinical project will be supported over 12 months and the scientific over 24 months. Mentorship will be available to successful applicants. The closing date for applications is 30th April 2009. Funding for 2009 will be awarded in June and available in September. Awards will be presented at the Wounds UK Summer Ball and Awards Ceremony 2009, on Friday 12 June 2009 at Tatton Park. To apply please fill out our contact request form or telephone Helen Shoker, Clinical Development Manager at Laboratoires Urgo on: 01509 502051. Controversy: are pressure ulcers really ischaemic injuries? Delegates will also hear the latest news and information from a number of wound care groups, including The All Wales TVN Forum, The Surgical Materials Testing Laboratory, and the European Wound Management Association. Over two years ago, the Matron on Orthopaedics at Doncaster and Bassetlaw NHS Foundation Trust developed a new model of implementing Essence of Care within the Trust. Clinical practice on the ward and discussion with the ward team had shown that no standardised document existed to accurately record the repositioning of a patient during his or her hospital stay. NICE guidelines highlight the importance of documenting regular position changes of patients, including the time that patients are sat out of bed (NICE, 2005). The new model developed included the formation of a Steering Group and the introduction of Clinical Champions - clinical experts at sister level. By working with the Matron, Link Nurses and the Tissue Viability Nurse Specialist, a number of good practice ideas were developed and piloted. This led to a presentation to the Steering Group and the identification of 'Champion Points', areas of evidence-based practice that can be easily implemented across the Trust and driven by Matrons. The repositioning schedule is one of these Champion Points. It provides consistency in patient care and prevents the risk of pressure ulcer development, by decreasing the length of time patients spend in one position. The schedule provides a visible checklist of the position the patient is turned from and to and the time the change is made. It also documents how long a patient has been sat out of bed. The chart provides accurate, written evidence that repositioning of the patient has been performed. The schedule is now used on the majority of the wards throughout four hospitals in the Trust, and had been placed on the Clinical Governance Support Group (CGST) website, to share best practice. This website has now been closed and a new Essence of Care website is currently being set up. The deadline for abstract submission is May 1 2009; abstracts will be published in the European Journal of Lymphology. Full members and fellows of ESL can attend the Congress free of charge. For more information on registration fees, local accommodation and abstract submission contact Jean Patrice Brun at esl-congress2009-paris@orange.fr or on +33 1 40 69 35 18. The problem of lymphoedema in the developing world - an international collaboration. This three-day conference is being held in association with the Global Lymphoedema Framework and the Journal of Lymphoedema. The programme is available here [PDF]. Delegates will work in small groups, using modern teaching resources in a world-class surgical training environment to develop skills essential for advanced tissue viability practice. Specific wound types and their diagnosis and treatment (eg. pressure, leg and foot ulcers). This meeting will see the launch of a number of important consensus documents. These documents provide best practice guidelines on a relevant aspect of a particular topic area and together represent a major contribution to patient care worldwide. This consensus document has been adopted by the World Union of Wound Healing Societies as an educational initiative and provides principles of best practice on the use of compression in the management of venous leg ulcers. This consensus document has been adopted by the World Union of Wound Healing Societies (www.wuwhs.org) as an educational initiative and provides principles of best practice on the use of vacuum assisted closure therapy in wound management. The document provides guidance on the successful integration of vacuum assisted closure therapy (V.A.C.Â® Therapy) into clinical practice. It specifically reviews its potential use in six selected wound types and considers quality of life and cost-effectiveness, both of which are gaining importance when evaluating treatment. The recommendations draw on both the research evidence and the consensus opinion of an international group of experts. This consensus document has been adopted by the World Union of Wound Healing Societies (www.wuwhs.org) as an educational initiative and provides principles of best practice on the emerging use of diagnostic technologies in the management of wounds. This document emphasises the importance of effective assessment and diagnosis in the treatment of wounds, and presents details and clarification on the individual markers that might become the subject of the diagnostic tests of the future. The principles represent the consensus opinion of an international expert working group. This important international educational initiative provides principles of best practice on the challenges of diagnosing and managing infection in wounds. The principles presented are based on the consensus opinion of an international panel of experts who met in 2007. The content of this document has been carefully considered to relate directly to daily clinical practice. 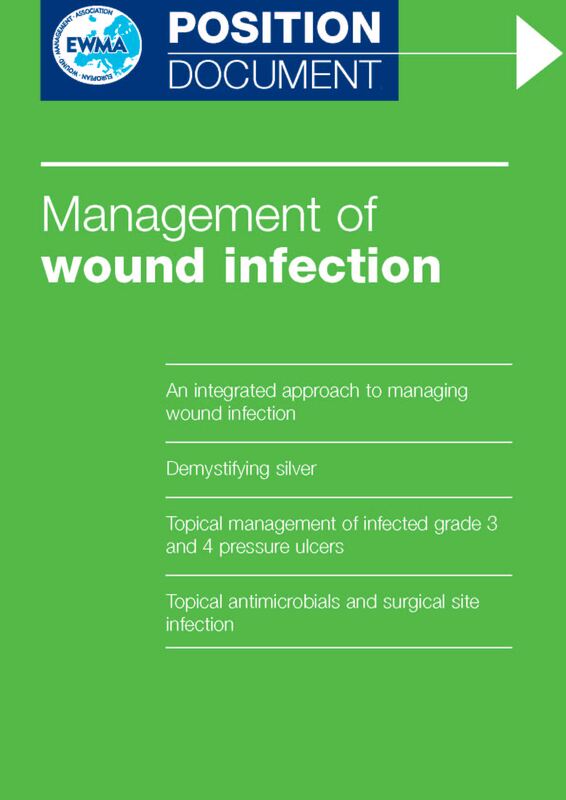 In particular, it provides broad, clear and safe guidance on the areas of diagnosis and the topical/systemic treatment of bacterial wound infection. Research will continue to provide greater understanding of wound infection and to shape future practice. The document is supported by an unrestricted educational grant from Smith & Nephew and is also published as a supplement in the International Wound Journal (IWJ, 5 [Suppl 3], June 2008). 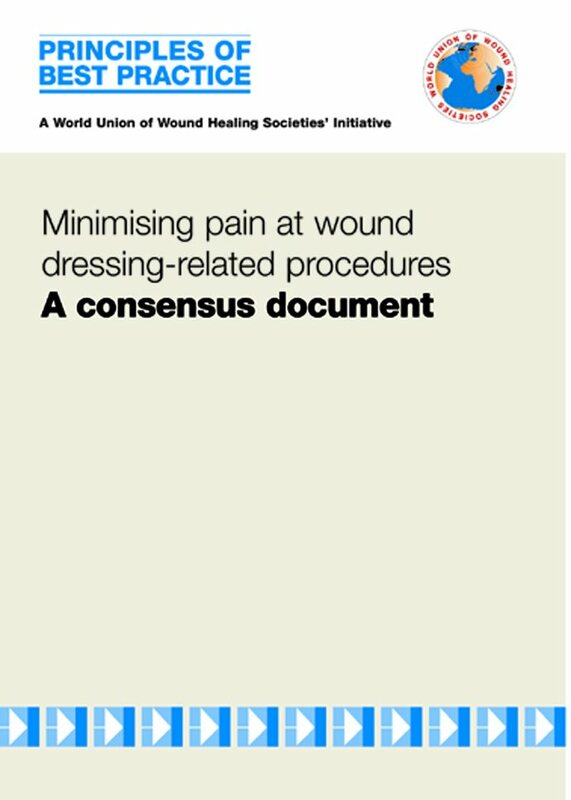 This consensus document has been adopted by the World Union of Wound Healing Societies (www.wuwhs.org) as an educational initiative and focuses on minimising pain at dressing-related procedures, building on the original document from 2004. In particular, the document provides examples of how to implement pain-relieving strategies. The document is supported by an unrestricted educational grant from Molnlycke Healthcare. This consensus document focuses on persistent (chronic) wound related pain. In particular it provides examples of how to assess and manage chronic persistent wound pain. The recommendations have been developed with the involvement of an interprofessional panel of health professionals from around the world. This document has been supported by an unrestricted educational grant from Coloplast and is published as a supplement in the International Wound Journal (IWJ, 5 (2): 205-215, May 2008). Share of responsibility between doctors and nurses working with wound care. How to reduce the number of amputations for patients suffering from diabetic foot ulcers? The 18th EWMA conference is organised in close cooperation between EWMA and the two Portuguese wound management associations, GAIF (Grupo Associativo de InvestigaÃ§Ã£o em Feridas) and APTFeridas (AssociaÃ§Ã£o Portuguesa de Tratamento de Feridas). Over the last 20 years, major advances in our understanding of the biology of wound healing has meant that for many patients with wounds, it is possible to predict the likely sequence of events in the healing trajectory and to forecast the approximate time it will take for a wound to heal completely. However, despite this increasing knowledge and the development of more interactive wound care products, many clinicians will encounter wounds that are âhard-to-healâ, where despite best efforts, wound healing is prolonged or never achieved. âHard-to-heal wounds: a holistic approachâ is available in English, French, German, Italian and Spanish. All editions of the document are available from http://www.ewma.org/ as a downloadable pdf. The Pain on Removal Cases (PORC) survey involved more than 3000 patients with a variety of wounds in 20 countries. It is claimed that more than 90% preferred dressings with Safetac technology to their previous regimen. Patients were first treated with a traditional adhesive dressing (polyurethane-, acrylic- or hydrocolloid-based adhesive). Severity of trauma to the periwound area was assessed. Patients were also asked to record their pain level before, during and after dressing removal using a visual analogue scale ranging from 0 (no pain) to 10 (unbearable pain). At the second dressing change, Mepilex dressings with Safetac technology (from MÃ¶lnlycke Health Care) were applied to the wounds and the same assessment process repeated. A reduction in the levels of pain associated with the Safetac technology was reported. White R. A multinational survey of the assessment of pain when removing dressings. Wounds UK 2008;4(1): 1-6. How should this new guideline influence clinical practice? A number of lectures on shear, ischaemia and wound healing and workshops on topics including wound assessment, pressure ulcer care, diabetic foot ulcers and wound pain will also be held over the two days. Biomedical scientist Dr Richard White has been appointed to the post, with the aim of strengthening and expanding the universityâs teaching and research capabilities in tissue viability. Professor White gained his PhD in dermatological studies from the University of Liverpool. He has held a variety of research, education and clinical practice roles, including that of part-time senior research fellow in tissue viability at Aberdeen Royal Infirmary. He has written many books and articles on a variety of topics, and is a journal editor and reviewer. He is also a well-known and respected conference presenter and a member of many wound care organisations including the World Union of Wound Healing Societies. Professor White will deliver his inaugural professorial lecture at the University of Worcester in the New Year. Co-ordinator Professor Gary Sibbald, well-known for his trademark red baseball cap, has been spotted seeking out topics, speakers and abstracts from leading wound care professionals around the world, with a focus on evidence-based wound care. The event will include a pre-conference day, three plenary sessions featuring internationally renowned speakers and 10 concurrent sessions with more than 100 educational events. The congress is a chance to meet and hear international opinion leaders, visit the worldâs largest wound care trade exhibition and learn how the latest therapeutic strategies can be used in better patient care. More than a decade after pioneering researchers experimented with crude suction apparatus to promote wound healing, topical negative pressure (TNP) therapy has revolutionised the field of wound management. TNP therapy substantially broadens the scope of treatment and has rapidly become a first-line intervention for a wide range of complex wounds. The indications and advantages of TNP therapy have been reviewed extensively; however there remains a crucial need for a better understanding of when and how to effectively integrate this therapy into clinical practice. With these issues in mind, the 2007 European Wound Management Association (EWMA) position document on Topical negative pressure in wound management â launched at the EWMA 2007 annual congress in Glasgow â presents a European perspective on the pathophysiological effects and the technical and practical issues involved in using TNP therapy. The aim is to provide insights into the use of the intervention in the clinical setting, and to enable healthcare professionals to select and apply therapy safely. Understanding topical negative pressure therapy by R Gustafsson, J SjÃ¶gren and R Ingemansson. This paper outlines the historical development of TNP therapy and describes the key components of the vacuum assisted closure (V.A.C.Â® Therapy) system. Health economics and topical negative pressure by P Trueman. The author puts forward an economic case for the intervention and proposes a number of factors that should be considered when analysing the true cost of dressings. 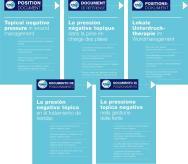 Selecting topical negative pressure therapy in practice by K Vowden, L TÃ©ot and P Vowden. The authors present a general therapeutic strategy (using the concept of wound bed preparation) that can be applied to many different wound types to help clinicians identify when to use TNP therapy and how to integrate the technique into overall wound management. Managing the open abdomen using topical negative pressure therapy by T Wild. For treatment to be safe and effective it is important to understand how the specific requirements of individual wound types may affect the application of TNP therapy. In this final paper, the author uses the management of the open abdomen to demonstrate this point. Figure 10 - The 2007 EWMA position document. The 3rd Congress of the World Union of Wound Healing Societies, sponsored and hosted by the University of Toronto, will take place on 4th-8th June, 2008. The congress format will include plenary keynote speakers, workshops, satellite symposia, papers and posters. This Congress will be of great interest to health professionals worldwide. The European Academy of Wound Technology is offering training on techniques used in modern woundcare. The practical course will include evaluation of participantsâ skills in the use of techniques such as VAC, skin grafts, pressure-relieving systems and compression bandaging. The programme is suitable for experienced professionals wishing to update their specialised training in wound management. The number of places is limited to 36 doctors and 36 registered nurses per session. The programme will be held in English at Elancourt, France, on 2-4 July, 2007, and in French on 22-24 November, 2007. For further information please email mbia@fr.oleane.com or download the pdf. To register please visit http://www.mfcongres.com/. Richard White, PhD, Senior Research Fellow, Department of Tissue Viability, Grampian NHS Trust, Aberdeen. In recent years the pain and trauma associated with dressing changes have been identified as important factors to be considered in wound management . Central to these problems has been the issue of dressing adherence. Adherence may occur as a result of moist wounds drying out, or because of a combination of delicate skin, strong adhesive and, in some cases, inappropriate wear time. Ultimately, adherence can lead to tissue damage and pain. In terms of their ability to prevent trauma and pain, dressings fall into three broad categories, as shown below. It is recognised that the value of these definitions is somewhat limited because the level of a dressingâs adherence to a wound can be influenced by many different factors. Adherent - dressings that would be likely to adhere to any type of drying wound, for example gauze. Low adherent - dressings with a wound-contact surface that is designed specifically to reduce adherence. Non-adherent - dressings that maintain a moist gel layer over the wound, for example hydrocolloids, hydrogels, HydrofiberÂ®and alginates. It has been proposed that a new term 'atraumatic dressings' be adopted to define more accurately those products which, on removal, do not cause trauma either to newly formed tissue or to the peri-wound skin, such as skin stripping . Recently a category of dressings has been introduced that are claimed to overcome the twin problems of adherence to the wound and damage to the surrounding skin. They rely on an adhesive technology (SafetacÂ®), involving the use of 'soft' silicone, a material that adheres readily to intact dry skin but does not stick to the surface of a moist wound and does not cause damage on removal . These properties have been demonstrated in the laboratory . MepitelÂ® (MÃ¶lnycke Health Care) was the first product of this sort to be introduced. The nature of the bond that forms between Mepitel and the skin surface allows the dressing to be removed without causing trauma or pain or damaging delicate new tissue at the wound margin. The gentle adhesion between the dressing and the intact skin inhibits the movement of exudate from the wound on to the surrounding area and helps to prevent maceration. There are numerous clinical studies on the Safetac dressings that support the clinical benefits of this technology and products in a variety of indications. These include grafts , burns , hand wounds , leg ulcers , pressure ulcers , skin tears , amputations  and a variety of other indications . This clinical experience with Mepitel suggests that in order to function correctly, the dressing needs to be kept in intimate contact with the surface of the wound. The conformability of this dressing allows it to be applied to the most awkwardly shaped wounds. Where clinically indicated, topical steroids or antimicrobial agents can be applied either over or under Mepitel (see http://www.dressings.org/Dressings/mepitel.html). Dependent on the nature and condition of the wound, Mepitel may be left in place for extended periods, up to seven to ten days in some instances, but the outer absorbent layer should be changed more frequently, as required. When Mepitel is used for the fixation of skin grafts and protection of blisters, it is recommended that the dressing should not be changed before the fifth day post-application. As with all types of dressings, wounds should be monitored regularly for signs of infection or deterioration. When used on bleeding wounds, or wounds producing high viscosity exudate, Mepitel should be covered with a moist absorbent dressing pad. If used on burns treated with meshed grafts, or applied after facial resurfacing, imprints can occur if excess pressure is placed on the dressing. Following facial resurfacing it is recommended that the dressing be lifted and repositioned at least every second day. 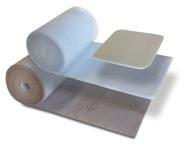 MepilexÂ®, an absorptive foam dressing that can be cut to shape and provide protective cushioning. Mepilex Lite, a thin conformable dressing that can be used to dress wounds in awkward positions, for example between and around toes. Mepilex Transfer, which has been designed to ensure that exudate moves vertically through the dressing into a secondary absorbent dressing. Mepilex Border, which consists of an absorbent self-adhesive island dressing, with a perforated soft silicone adhesive wound contact layer. Mepilex Border Lite, which is designed for wounds on awkward sites such as fingers and toes, and for wounds in children. The risks of skin and wound bed trauma, together with the resultant patient pain, often dictate the use of ânon-adherentâ dressings. Given the proven benefits of Safetac technology, this range of atraumatic dressings can be used safely and effectively in all wound types. This is reflected in clinical best practice statements . Pain and trauma associated with dressing removal is of major concern to patients and healthcare professionals alike. Trauma to the wound bed and surrounding skin that occurs with excessive dressing adhesion to fragile skin prolongs the duration of the wound and increases treatment costs and morbidity. The term 'atraumatic dressings' coined by Thomas  should be adopted to describe products that, during wear and on removal, do not adhere and cause trauma either to the newly formed tissues in the wound bed or to the peri-wound skin. The term atraumatic can be applied to both adhesive and non-adhesive dressings. The current literature suggests that dressings using soft silicone Safetac technology, by virtue of clinical and laboratory evidence, are atraumatic. * Supported by an educational grant from MÃ¶lnlycke Health Care. Hollinworth H, Collier M. Nurses' views about pain and trauma at dressing changes: results of a national survey. J Wound Care 2000;9(8): 369-73. Thomas S. Atraumatic dressings. World Wide Wounds (online) 2003; available at url: http://www.worldwidewounds.com/2003/january/Thomas/Atraumatic-Dressings". White RJ. Evidence for atraumatic soft silicone wound dressing use. Wounds-UK 2005; 1(3): 104-9. Dykes PJ, Heggie R, Hill SA. Effects of adhesive dressings on the stratum corneum of the skin. J Wound Care 2001; 10(1): 7-10. Dykes PJ, Heggie R. The link between the peel force of adhesive dressings and subjective discomfort in volunteer subjects. J Wound Care 2003; 12(7): 260-2. Vloemans AF, Kreis RW. Fixation of skin grafts with a new silicone rubber dressing (Mepitel). Scand J Plast Reconstr Surg Hand Surg 1994; 28(1): 75-6. Platt AJ, Phipps A, Judkins K. A comparative study of silicone net dressing and paraffin gauze dressing in skin-grafted sites. Burns 1996; 22(7): 543-5. DahlstrÃ¸m KK. A new silicone rubber dressing used as a temporary dressing before delayed split skin grafting. A prospective randomised study. Scand J Plast Reconstr Surg Hand Surg 1995; 29(4): 325-7. Bugmann P, Taylor S, Gyger D, Lironi A, Genin B, Vunda A, et al. A silicone-coated nylon dressing reduces healing time in burned paediatric patients in comparison with standard sulfadiazine treatment: a prospective randomized trial. Burns 1998; 24(7): 609-12. Gotschall CS, Morrison MI, Eichelberger MR. Prospective, randomized study of the efficacy of Mepitel on children with partial-thickness scalds. J Burn Care Rehabil 1998; 19(4): 279-83. Williams G, Withey S, Walker CC. Longstanding pigmentary changes in paediatric scalds dressed with a non-adherent siliconised dressing. Burns 2001; 27(2): 200-2. O'Donovan DA, Mehdi SY, Eadie PA. The role of Mepitel silicone net dressings in the management of fingertip injuries in children. J Hand Surg [Br] 1999; 24(6): 727-30. Terrill PJ, Varughese G. A comparison of three primary non-adherent dressings applied to hand surgery wounds. J Wound Care 2000; 9(8): 359-63. Gates A. The use of a non-adherent silicone dressing in arterial leg ulceration. J Wound Care 2000; 9(2): 79-81. Maume S, Van De Looverbosch D, Heyman H, Romanelli M, Ciangherotti A, Charpin S. A study to compare a new self-adherent soft silicone dressing with a self-adherent polymer dressing in stage II pressure ulcers. Ostomy Wound Manage 2003; 49(9): 44-51. Meuleneire F. Using a soft silicone-coated net dressing to manage skin tears. J Wound Care 2002; 11(10): 365-9. Williams C. Mepitel. Br J Nurs 1995; 4(1): 51-2, 54-5. Adamietz IA, Mose S, Haberl A, Saran FH, Thilmann C, Bottcher HD. Effect of self-adhesive, silicone-coated polyamide net dressing on irradiated human skin. Radiation Oncology Investigations 1995; 2: 277-82. Taylor R. Use of a silicone net dressing in severe mycosis fungoides. J Wound Care 1999; 8(9): 429-30. Hall S. Life, epidermolysis bullosa and chasing tornadoes. J Wound Care 2004; 13(10): 405-6. WUWHS (World Union of Wound Healing Societies). Principles of Best Practice: Minimising Pain at Wound Dressing-Related Procedures. A consensus document. London: MEP Ltd, 2004. Independent Advisory Group. Best Practice Statement: Minimising Trauma and Pain in Wound Management. Aberdeen: Wounds UK Ltd, 2004. Available at url: http://www.woundsuk.co.uk. These scholarships, sponsored by the MÃ¶lnlycke Health Care Wound Academy, aim to foster excellence and innovation in the challenging world of wound care, whilst raising the profile of wound care as a discipline. Please note that the scholarships are open only to UK and Eire residents. In the past, simple gauzes and bandages were the only dressings available for the treatment of both acute and chronic wounds, regardless of the fact that wound pathologies and treatment requirements could be different. The development of adhesives as an integral part of some dressings has allowed them to be applied to the wound without the need for secondary fixation, such as tapes or bandages. However, a complication is that the adhesive itself may cause severe damage to the patientâs skin. The skin in elderly or sick patients may, as a result of the underlying pathology, be extremely fragile and/or sensitive. Repeated or even single application of adhesive dressings to this delicate skin can cause trauma, removing layers of keratinocytes and structures or layers of skin cells . The use of self-adherent dressings that will not cause skin stripping or damage is good clinical practice in patients who are at risk of damage from dressing adhesives. Soft silicone dressings have been developed to prevent such damage and have been proven to be superior to other dressings in this respect . A summary of a clinical study is presented that supports this proposition. To evaluate the effect of the adhesives of four different dressings on the fragile peri-ulcer skin of patients with venous leg ulcers. MepilexÂ® Border (with a soft silicone adhesive border). Forty-five patients with open (n = 29) or healed (n = 16) venous leg ulcers were included. Peri-ulcer skin was treated for 14 days with patches of the four dressings. As a control test, normal skin on each patientâs ventral forearm was treated identically. The skin barrier function was assessed by measuring trans-epidermal water loss (TEWL). Absolute TEWL changes from baseline to week 1 and 2 and adjusted for the non-treated control sitesâ values were calculated for the four dressing groups. A paired t-test was used to compare Mepilex Border with the other three adhesive dressings for statistical significance (p<0.05). 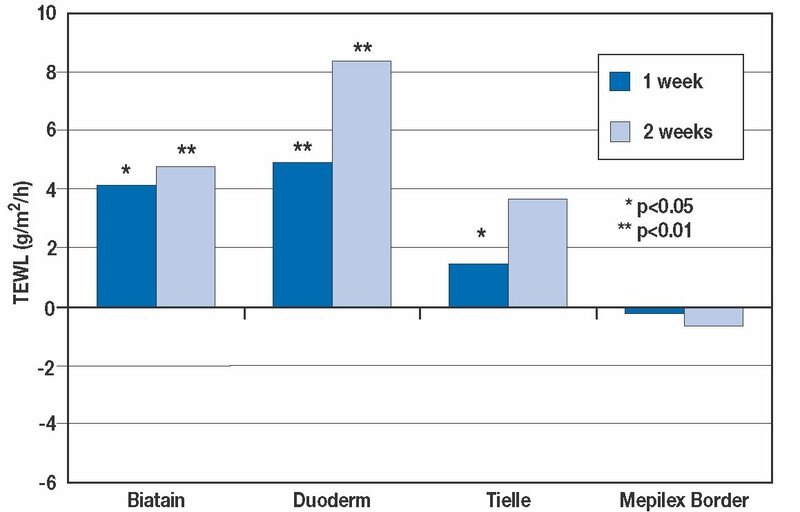 The study showed statistically significantly lower TEWL values at week 1 and 2 for Mepilex Border compared to the two hydrocolloid-based adhesives (Duoderm and Biatain) and at week 2 compared to the polyurethane adhesive (Tielle) used on peri-ulcer skin. Figure 11 - Comparison of TEWL values between the four dressings. Mepilex Border did not influence the transepidermal water loss of skin surrounding chronic venous leg ulcers while repetitive removal of three other common adhesive dressings significantly increased transepidermal water loss compared with Mepilex Border after two weeks of treatment. These findings strongly imply that Mepilex Border does not damage the barrier of the fragile skin around venous leg ulcers. The clinical implications of this are that the condition of the wound or adjacent skin may be worsened by application of dressings that damage skin. Additionally, these dressings have been shown to be more painful for the patients on removal during dressing changes. Soft silicone dressings, on the other hand, have been shown to reduce the level of damage caused by the adhesive component of the dressing and subsequently to be less painful in comparison. These dressings should therefore be considered in all patients requiring treatment for acute or chronic wounds in accordance with âbest practiceâ statements . *Supported by an educational grant from MÃ¶lnlycke Health Care. Dykes PJ, Heggie R. The link between the peel force of adhesive dressings and subjective discomfort in volunteer subjects. J Wound Care 2003; 12(2): 260-62. Zillmer R, Karlsmark T, SjÃ¶gren MS, Gottrup F. Biophysical effects of repetitive removal of adhesive dressings on the skin surrounding ulcers. J Wound Care 2006 ; 15(5): 1-5. Karlsmark T. Effects on the surrounding skin of ulcers by removal of adhesive dressings. Paper presented at the European Wound Management Association (EWMA) annual congress, Prague, 2006. Dykes PJ, Heggie R, Hill SA. Effects of adhesive dressings on the stratum corneum of the skin. J Wound Care 2001; 10(2): 7-10. Meaume S, Van De Looverbosch D, Heyman H, Romanelli M, Ciangherotti A, Charpin S. A study to compare a new self-adherent soft silicone dressing with a self-adherent polymer dressing in stage II pressure ulcers. Ostomy Wound Management 2003; 49(9): 44-51. EWMA. Position document. Pain at wound dressing changes. London: MEP Ltd, 2002. WUWHS. Principles of best practice. Minimising pain at dressing-related procedures. A consensus document. London: MEP Ltd 2004. The European Group of Lymphology (gel) held its XXXII congress on 12-14 May 2006 in the southern German village of Hinterzarten, the home of the FÃ¶ldiklinik. Delegates heard presentations from speakers from around the world on a wide range of lymphoedema-related topics, including molecular research, staging criteria, conservative treatment, surgical management and consensus processes. The Lymphoedema Framework launched the first part of a new European educational initiative at gel.The Template for Practice series aims to enhance the care of patients with lymphoedema. The Lymphoedema Framework is a UK based research partnership that aims to raise standards of care for lymphoedema, a condition widely perceived as a rare and for which there is little treatment. In fact, the prevalence of lymphoedema is surprisingly high and, although currently lacking a cure, symptoms can be greatly alleviated by skilled clinicians. 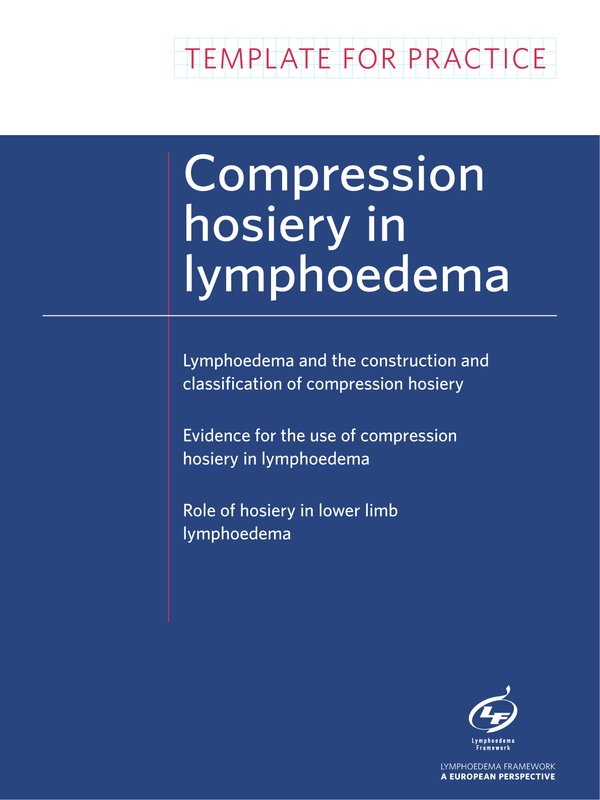 The first document in the series âCompression hosiery in lymphoedemaâ focuses on the rationale for and practical use of compression garments in lower limb lymphoedema. The guidance provided is based on a consensus developed by the Lymphoedema Framework in conjunction with patients, clinicians and industry. The involvement of a panel of international experts ensured a European perspective. Role of hosiery in lower limb lymphoedema â DC Doherty, PA Morgan and CJ Moffatt. 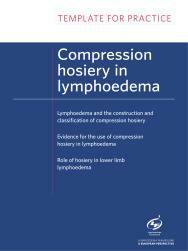 'Compression hosiery in lymphoedema' has received unprecedented support in the field of lymphoedema and has gained the endorsement of 15 lymphoedema organisations from Europe, the United States and Australia. The document has been supported by an unrestricted educational grant from BSN medical, and is available in English, German, French and Spanish. Coloplast will be holding a news conference entitled 'The world's first wound dressing with ibuprofen' at the annual meeting of the European Wound Management Association in Prague (18-20 May). The programme comprises: 'The problem of chronic wound pain', 'Improved persistent wound pain with Biatain-Ibu' and a Discussion. The results of three international studies will be discussed. The news conference will be held at 10am on 19 May 2006 in the Coloplast VIP Lounge, above the Coloplast stand. For more details visit http://www.biatain-ibu.coloplast.com or http://www.ewma.org. The 2006 European Wound Management Association (EWMA) position document on 'Management of wound infection', will be launched at their annual meeting to be held in Prague, 18-20 May 2006. 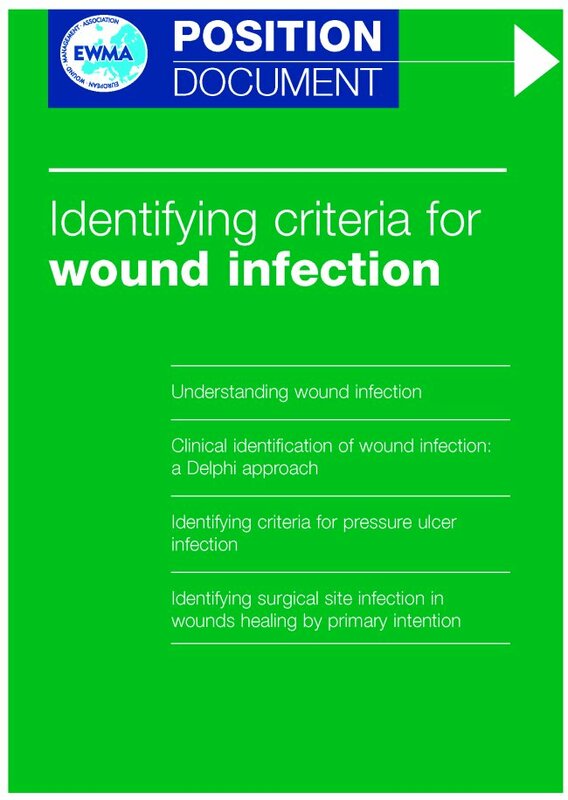 This position document, the fifth in the series, continues last year's exploration of the criteria for wound infection by tackling the complex clinical challenges healthcare professionals face when making decisions about how to treat wound infection. With the recent escalating prevalence of bacterial resistance there has been renewed interest in the use of topical antimicrobials particularly silver, iodine, honey and maggot therapy. However, injudicious use and the limited clinical evidence to support their use has led to further problems and controversies. In producing this position document, EWMA pays particular attention to the appropriate use of topical antimicrobials and provides practical recommendations for clinicians. 'Management of wound infection' has been supported by an unrestricted educational grant from ConvaTec and is available in English, French, German, Italian, Spanish and Japanese. This conference is aimed at all nurses interested or involved in the care of individuals with dermatological skin conditions, or who have an interest in this specialised area of nursing. Topics covered will include the management of incontinence and its effect on skin integrity, cellulitis and skin biopsy and malignancy. This conference will be of interest to all nurses working in paediatric tissue viability. Topics covered will include the management of childhood eczema, the care of children with peg tubes/peri-stomal wounds and a session on challenging wounds. The Wounds UK Summer conference will be of interest to all nurses and podiatrists with an interest in the management of wounds. Experts will present papers on a wide range of topics, including pressure ulcers, leg ulcers, diabetic foot ulcers and surgical and trauma wounds. For further details and an online booking form visit http ://www.wounds-uk.com/. The University of Stirling is running four standalone modules on skin and woundcare from September 2006. These distance learning courses, which are delivered online and backed up with face-to-face contact and support, are suitable for qualified health professionals looking to gain additional knowledge and skills. The four courses are: Principles of tissue viability, Dermatology for health professionals, Nursing assessment and management of leg ulceration and Principles of wound debridement. A one-day conference on managing the problem wound will be held on Wednesday 10 May at the Royal Society of Medicine, 1 Wimpole Street, London W1G OAE. For health professionals who wish to supplement their practical wound management skills, the European Academy of Wound Technology (EAWT) now offers a validated training scheme. The aim of the training is to provide information on basic and innovative practices in wound management with evaluation of the participantsâ skills to use these techniques efficiently. Wounds UK awards programme recognises the outstanding achievements of practitioners in the field of woundcare. The awards are open to all healthcare professionals involved in wound healing and/or management. All entrants can nominate themselves or a colleague for the awards. The closing date for applications is 31 March 2006, and all winners will be notified by 28 April 2006. For further details and an online entry form please go to www.wounds-uk.com and click on the Awards 2006 button. This two-day conference to be held in the Westin Dragonara Resort, Malta on 1-2 December 2005 is offering a special inclusive conference package to delegates (includes flights, accommodation and conference fee). Plenary speakers include some of the top names in the field with a full concurrent and workshop programme from internationally recognised practitioners, educationalists and writers. About one percent of the adult population and a greater proportion of older people suffer from chronic non-healing wounds . Unlike acute wounds, which rapidly progress through the normal stages of healing, chronic wounds may not heal for several years, impairing patientsâ quality of life and accounting for significant costs to healthcare providers. Venous leg ulcers are among the most common chronic wounds. Standard treatment includes dressings that ensure moist wound healing and lower-limb compression, which will successfully initiate healing in about 50 percent of cases . However, large or long-lasting ulcers are notoriously difficult to treat and heal very slowly or not at all . Increased knowledge of the biological processes responsible for normal wound healing has led to the design of new products that help to promote healing in previously hard-to-heal wounds. MÃ¶lnlycke Health Care has developed one such novel therapy, Xelmaâ¢, a class III medical device that recently received European marketing approval. Xelmaâ¢ initiates healing in hard-to-heal wounds by providing a temporary replacement for the damaged extracellular matrix (ECM), a component recently shown to be crucial to wound healing . The ECM is the environment around cells and it gives the skin a remarkable combination of great strength and elasticity. It is made up of several different proteins and polysaccharides, which are secreted by the cells within it. These molecules form a network with two main functions. The first is a mechanical role, providing a supportive scaffold for cell attachment; the second is a role in cell communication through the interaction of ECM proteins with cell surfaces. Both of these functions are fundamentally important to the wound healing process . ECM proteins in a blood clot are crucial for cell proliferation and migration into the wound bed. New cells, which repopulate a wound site, produce ECM proteins that replace the fibrin-rich matrix and initiate healing. Repaired tissue undergoes a process of remodelling in which it is organised and strengthened. Patients with large ulcers of long duration have the lowest healing potential compared to smaller wounds of short duration . The identification of non-healing wounds is vital in order to introduce advanced therapies early. Hard-to-heal wounds do not progress through the normal stages of wound healing and wounds become locked in an early inflammatory phase. It is thought that this is caused either by extensive tissue damage or an underlying pathological state, such as venous insufficiency, leading to an imbalance in the cellular and biochemical components necessary for wound healing to occur. This causes destruction of the elements necessary for healing, including components of the ECM. The lack of a functional ECM inhibits the proliferation and migration of cells into the wound and impairs healing. Xelmaâ¢ is a novel biological product marketed by MÃ¶lnlycke Health Care and designed to restore the normal balance of cellular components in the chronic wound bed. The key ingredient is an extracellular matrix protein called amelogenin. When applied to the wound bed, amelogenin proteins form a protein matrix and temporarily replace the damaged ECM proteins by providing a structure for cell adhesion. 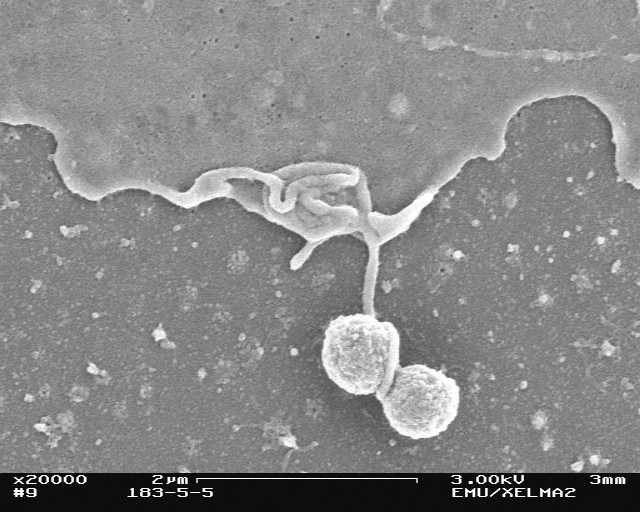 Scanning electron microscopy clearly shows a cell attached to Xelmaâ¢ proteins (Figure 1). Figure 13 - This shows a dermal fibroblast bound to two amelogenin protein aggregates (courtesy of Professor Bengt R. Johansson). In vitro, amelogenins have been shown to modulate the behaviour of a number of cell types. They achieve this by enhancing cell proliferation and stimulating the endogenous secretion of several important growth factors and ECM components . Data from clinical studies investigating the use of Xelmaâ¢ for hard-to-heal wounds show clear benefit compared to standard treatment . 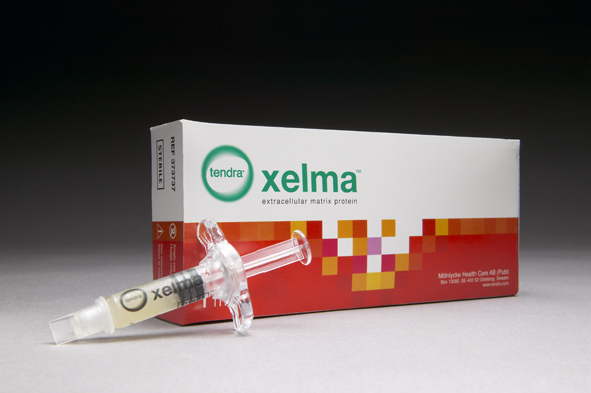 Xelmaâ¢ is indicated for hard-to-heal venous leg ulcers. The amelogenin protein is contained within an aqueous solution of propylene glycol alginate to facilitate its application onto the wound bed. Xelmaâ¢ is delivered directly onto the wound bed by a syringe, with an applicator for ease of use (Figure 2). Xelmaâ¢ should be administered on a weekly basis and covered with a secondary dressing plus adequate compression bandaging. Figure 14 - Xelmaâ¢ extracellular matrix protein is supplied in an easy-to-use syringe. Xelmaâ¢ is a unique and novel therapy that restores the damaged ECM proteins, giving cells a structure for attachment and a network for communication. This approach facilitates the restoration of normal wound healing and is beneficial where standard treatment has proved ineffective. Margolis DJ, Allen-Taylor L, Hoffstad O, Berlin JA. The accuracy of venous leg ulcer prognostic models in a wound care system. Wound Repair Regen 2004; 12(2): 163-8. Mirastschijski U, Konrad D, Lundberg E, Lyngstadaas SP, Jorgensen LN, Agren MS. Effects of a topical enamel matrix derivative on skin wound healing. Wound Repair Regen 2004; 12(1): 100-8. Okubo K, Kobayashi M, Takiguchi T, Takada T, Ohazama A, Okamatsu Y, Hasegawa K. Participation of endogenous IGF-I and TGF-beta 1 with enamel matrix derivative-stimulated cell growth in human periodontal ligament cells. J Periodontal Res 2003; 38(1): 1-9. MÃ¶lnlycke Health Care data on file. 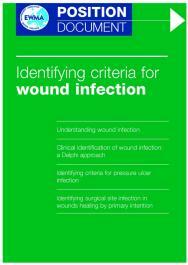 The chosen topic for the 2005 EWMA position document is on 'Identifying criteria for wound infection'. This could not be more pertinent or timely given the intense media interest and close public scrutiny of the rising prevalence of resistant bacterial strains. It is clear that clinicians have a professional responsibility to recognise episodes of infection promptly and accurately and to treat them appropriately. This position document, the fourth in the series, will be launched at Stuttgart 2005, 15-17 September. The challenge is to use this document to raise pan-European debate and improve standards of care worldwide. âIdentifying criteria for wound infectionâ has been supported by an unrestricted educational grant from ConvaTec and is available in English, French, German, Italian, Spanish and, for the first time this year, Japanese. 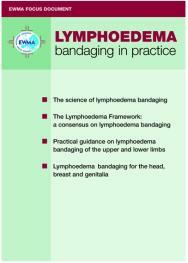 In producing its first focus document, EWMA has chosen the challenging topic of lymphoedema management. This document will be launched at Stuttgart 2005, 15-17 September. By focusing on the principles of multi-layer compression bandaging, EWMA hope to widen the scope for specialists and generalist practitioners in caring for patients with lymphoedema. 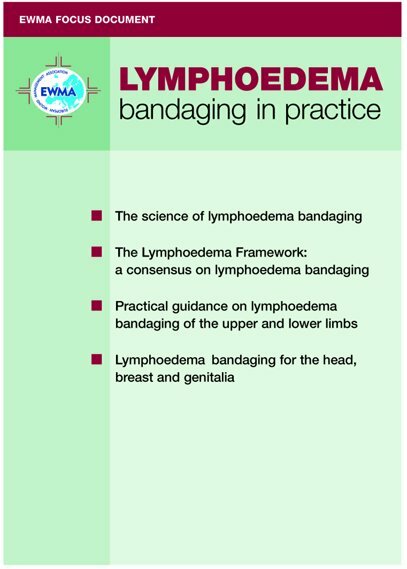 'Lymphoedema bandaging in practice' has been supported by an unrestricted educational grant from Lohmann & Rauscher and is available in English, French and German. Many different test methods are available to compare the performance of wound care dressings. As the choice of method may influence the performance of the products under examination Coloplast Ltd commissioned an independent study, using test systems described in existing international standards, on the understanding that all the data generated during the course of the study would be placed in the public domain. Coloplast Ltd adopted this approach because it wanted to avoid the use of the term 'data on file' when describing the performance of products such as hydrocolloid dressings, alginate/CMC fibrous dressings, hydrogels and foam dressings. The Surgical Materials Testing Laboratory (SMTL) was selected for this work as it is an independent National Health Service laboratory that has been accredited by the UK Accreditation Service to test dressings and medical disposables. The key results of the study conducted at SMTL are presented below. Wound care practitioners have at their disposal a wide range of different dressings. These can be grouped under different product technologies, such as hydrocolloid dressings, alginate/CMC fibrous dressings, hydrogels and foam dressings. Each of these product groups contains various brands that often have markedly different performance characteristics. The decision-making process for practitioners wishing to select the most appropriate dressing for the treatment of a particular patient can be complicated at times and practitioners are often challenged by a lack of clarity concerning dressings' forms and function, issues of feasibility and even the established facts about dressing performance . Dressings are part of a holistic wound management plan with individualised patient goals. One goal may be to facilitate faster wound healing by providing the optimal environment for healing to proceed. However, it is necessary to look at the whole patient, underlying disease processes and patient-centred concerns before looking at the wound itself . Following a holistic approach, a comprehensive wound assessment is a vital prerequisite to successful healing. This will provide baseline information about the condition of the wound that will then trigger appropriate measures to aid healing . Assessment factors may include: the wound classification, the depth of the wound, the shape and size of the wound, the amount of exudate, the position of the wound, wound appearance and the environment of care . Patient-centred concerns are important as individuals with chronic wounds not only have to deal with a wound but may also have to face the unfulfilled expectation of healing and its consequences, for example odour, leakage, maceration, pain, infection or social isolation. Different models can be used to illustrate a pathway for wound management. Sibbald et al described the wound bed preparation model, emphasising diagnosis of the cause, attention to patient-centred concerns, and correction of systemic and local factors that may delay healing. In relation to the performance of wound care dressings, one important factor in wound bed preparation is the maintenance of moisture balance, which often involves exudate management. In the course of managing wounds, particularly exuding chronic wounds, a failure to manage exudate adequately can expose the periwound skin to exudate. This can result in maceration of the skin and wound bed, which is a largely under-recognised problem and one of the causes of delayed wound healing . health economic analysis - Efficiency (cost). The above '3 Es' are key components of the overall evaluation of an intervention or service , . In addition, laboratory tests can provide valuable insight into the expected performance of a dressing. It is not possible for a single laboratory test to predict how a dressing is likely to perform in vivo, but by using a range of tests designed to address different aspects of a dressing's performance it is possible to predict how well it will perform in certain key areas. These may include the ability to absorb exudate or donate fluid, and the level of moisture vapour loss. Laboratory tests performed according to standard test methods enable objective comparisons between products and test results. However, laboratory data should not be used as the only parameter when choosing a dressing; they should be used in combination with in vivo clinical documentation and patient-centred considerations. The Coloplast Ltd range of products was tested against the brand leaders in the UK market. All the test data can be found on the website www.dressings.org. Importantly, Coloplast Ltd was not allowed to selectively exclude unfavourable results or findings from the report so there can be no question of cherry-picking the results. *GranuflexÂ® is also known internationally as VarihesiveÂ® E or DuoDERMÂ® E.
the total fluid-handling capacity of BiatainÂ®Non-Adhesive Dressing outperformed that of MepilexÂ®. The laboratory study results show that there are product differences that may impact on clinical practice in terms of leakage and maceration, and that these may be important in terms of patient-centred concerns. A dressing's ability to handle fluids enables caregivers to reduce the number of dressing changes so as not to disrupt the patient's lifestyle. A dressing's ability to absorb exudate also influences dressing change frequency and can therefore impact on the overall cost of care. In the course of managing patients with wounds, particularly exuding chronic wounds, failing to manage exudate adequately can expose the periwound skin to exudate, which can result in maceration of the skin and wound bed. Maceration is a largely under-recognised problem and one of the causes of delayed wound healing . This new approach to disseminating information from a laboratory study conducted at an accredited laboratory using standard test methods makes it possible to avoid the term 'data on file' for dressings grouped as hydrocolloid dressings, alginate/CMC fibrous dressings, hydrogels and foam dressings. Finally, laboratory studies performed according to standard test methods enable objective comparisons between products and test results. However, laboratory data should not be used as the only parameter when making decisions about dressing choices; it should be used in combination with in vivo clinical documentation and patient-centred considerations. The absorbency test results for hydrocolloid dressings, alginate/CMC fibrous dressings and foam dressings have all been expressed as g/10cm2 to facilitate comparisons with the technologies mentioned. Foam dressings clearly demonstrate a much higher fluid-handling capacity compared with hydrocolloid and alginate/CMC fibrous dressings. Hydrocolloid dressings have their place for use with light to moderately exuding wounds. Foam dressings clearly showed a much greater absorption capacity compared with the HydrofiberÂ® dressing. Hydrogels are used to promote wound debridement by rehydrating the wound bed and encouraging the separation of hard necrotic tissue. For the full test report as a pdf file, please visit http://www.dressings.org/TechnicalPublications/PDF/Coloplast-Dressings-Testing-2003-2004.pdf. Ovington LG, Pierce B. Wound dressings: form, function, feasibility, and facts. In: Krasner D, Rodeheaver G, Sibbald G (Eds). Chronic Wound Care: A Clinical Sourcebook for Healthcare Professionals. Wayne, PA: Health Management Publications Inc., 2001; 311-19. Sibbald RG, Orsted H, Schultz GS, Coutts P, Keast D; International Wound Bed Preparation Advisory Board; Canadian Chronic Wound Advisory Board. Preparing the wound bed 2003: Focus on infection and inflammation. Ostomy Wound Management 2003; 49(11); 24-51. Benbow M. The Skin, 3. Managing patients with wounds. Nursing Times 2002; 98(27): 43-46. Dealey C. General principles of wound management. In: The Care of Wounds: A Guide for Nurses. Oxford: Blackwell Science, 1999; 49-67. White RJ, Cutting KF. Maceration of the skin and wound bed by indication. In: White RJ (Ed). Trends in Wound Care III. Dinton, Wilts: Quay Books, 2004; 23-39. Vowden K, Vowden P. The role of exudate in the healing process: understanding exudate management. In: White RJ (Ed). Trends in Wound Care III. Dinton, Wilts: Quay Books, 2004; 3-22. Price P. The challenge of outcome measures in chronic wounds. Journal of Wound Care 1999; 8(6); 306-08. Sibbald RG (chair). Bacteria, sustained release of silver and improved healing. Satellite symposium of the World Union of the Wound Healing Societies. Paris: 9 July 2004. AllevynÂ® is a registered trademark of Smith and Nephew. AQUACELÂ® is a registered trademark of E.R Squibb & Sons, L.L.C., ConvaTec Ltd is an authorised user. BiatainÂ® is a registered trademark of Coloplast A/S. ComfeelÂ® is a registered trademark of Coloplast A/S. DuoDERMÂ® is a registered trademark of E.R. Squibb & Sons L.L.C. GranuflexÂ® is a registered trademark of E.R. Squibb & Sons L.L.C. HydrofiberÂ® is a registered trademark of E.R Squibb & Sons L.L.C., ConvaTec Ltd is an authorised user. INTRASITEÂ® is a registered trademark of Smith and Nephew. MepilexÂ® is a registered trademark of MÃ¶lnlycke Healthcare AB. PurilonÂ® is a registered trademark of Coloplast A/S. SeaSorbÂ® is a registered trademark of Coloplast A/S. SorbsanÂ® is a registered trademark of Unomedical Ltd.
VarihesiveÂ® is a registered trademark of E.R.Squibb & Sons L.L.C. Nurses and podiatrists with an interest in wound management can learn more about accountability, infection control and the latest trends in complex wound management at the Wounds UK 2005 summer conference. Experts in the prevention and treatment of leg and pressure ulcers will also address the one-day conference, which takes place alongside an exhibition featuring the latest treatments and products available in the UK. The conference will be held in Manchester on Wednesday, June 29. 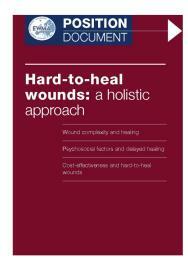 For further information and a downloadable registration form visit www.wounds-uk.com. The Wound, Ostomy and Continence Nurses Society, the only national US organisation for nurses specialising in the management and rehabilitation of people with wounds, ostomies and continence disorders, will hold it's 37th annual conference in Las Vegas, Nevada, on June 12-16. The conference offers a week of educational opportunities and related professional practice issues with the aim of furthering the understanding and development of theoretical and clinical knowledge in the field. Nurses can earn up to 32.4 contact hours by attending the educational conference, and up to 7.2 additional contact hours through the preconference sessions. There are also eight expert-level sessions for experienced professionals and advanced practice nurses, including 'The value of laboratory studies' and 'Current management of the spectrum of bacterial burden'. The Journal of Wound Care Scholarships and Honours 2005 aim to reward the commitment and expertise of practitioners working in the challenging field of wound care. Sponsored by Tendra, they aim to raise the profile of wound care as a discipline. Enter today for the chance of winning a share of Â£9,000, gaining national recognition from colleagues, attending the prestigious Scholarships and Honours Luncheon in September 2005 and gaining entry to the exclusive Tendra Academy. Please note that Scholarships are open to UK candidates only. Honours are open to UK and overseas candidates. Closing date for entries is 30 April 2005. Wounds-UK will host its third conference at the Harrogate International Conference Centre in November 2004. On Monday 15th November there will be a series of pre-conference symposia held in the main auditorium. Each symposia will last for 90 minutes and cover a number of different areas. Delegates are free to attend as many symposia as they wish. Throughout the 16th and 17th November delegates will have the opportunity to hear invited speakers from both the UK and abroad deliver presentations designed to inform and inspire the audience. The keynote address will be delivered this year by Professor Courtney Lyder from Virginia USA on accountability in wound healing. Central to the conference is the presentation of new work. This year all of the free papers will be presented in the main auditorium. In addition, there will also be an opportunity for authors presenting posters to give a five minute oral presentation in a specially designated area of the poster arena. A commonly held perception is that the development of a medical device is a relatively quick process. Whilst this may be true compared to a pharmaceutical product, the process is still a rather long one and often relies on a series of smaller incremental developments that need to be in place before the final stage of the process can be initiated and the patient sees the benefit of the innovation. 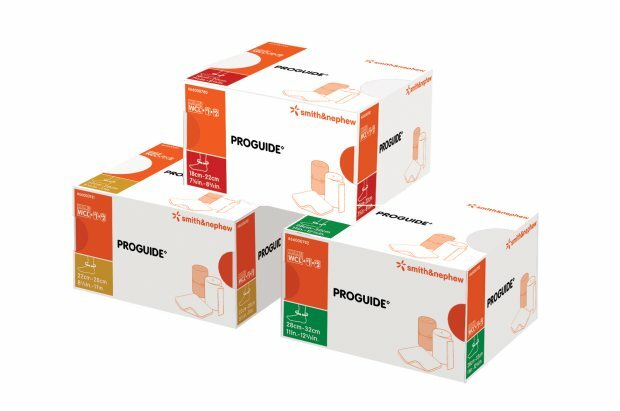 This is an account of the process followed by Smith & Nephew for the development of PROGUIDE â¢ , a new type of compression bandage system used in the treatment of venous leg ulcers. The journey started in the late 1980s and finally came to fruition in 2003, approximately 15 years later. Bandages in a simple form have been used to dress wounds since Egyptian times. Smith & Nephew were making non-extensible bandages in 1900 and it was only in the 1920s that they started to produce an extensible product. Until recently only this type of non-elastomeric product was widely available for the treatment of leg ulcers. These products were not capable of applying sustained compression levels and generally performed a restraining or support role. Bandages were typically applied close to their maximum extension so that if the limb under the bandage expanded, then the bandage restrained the movement and an increase of pressure occurred. If, on the other hand, the limb reduced in circumference then the bandages were not very effective at following the movement of the limb and a decrease in sub-bandage pressure would occur, often resulting in slippage of the bandage. It was generally considered that these elastomeric products were superior at applying continuous compression to the limb and studies have shown them to be superior for healing venous leg ulcers compared to non-elastic products . By the early 1980s, a number of elastomeric products had become available and in order to evaluate them, a new test method was required. A joint industry/NHS working party was set up, led by Dr Steve Thomas (SMTL). A new test method was developed and eventually issued as BS 7505 in 1995. This method categorised the bandages into three types to give an indication as to how they should be used. Be tolerant of increasing oedema without causing excessively high pressure. Type 3c bandages were considered to provide suitable compression levels for use on venous leg ulcers in the UK market . The type 3c test working tension would provide a compression level of 40mmHg when applied to an ankle of 23cm circumference. Although the new elastomeric products achieved some commercial success, it was only following the development of the 4-layer system at Charing Cross Hospital in the early 1990s that they started to become widely used. The 4-layer system (marketed by Smith & Nephew as PROFORE â¢) offered the advantage of safer application by averaging out inconsistencies of application tension. Each bandage layer contributes to the overall applied tension. The low application tension required for each layer means that appliers are more likely to apply sufficient extension to generate the correct level of compression. A single compression layer would be preferred but can be frightening to apply due to the high forces - the risk of applying at too high a tension tends to lead people to apply at lower extensions. This means that effective compression levels may not be achieved and the lower level of stretch in the bandage increases the risk of slippage due to the bandage becoming slack. During the work on these projects, Smith & Nephew used customer feedback to develop a vision of what was required of the "ideal" bandage and work started on a research project to find an elastomer with the required properties. By 1999, the Smith & Nephew research programme had come to fruition with the identification of a brand new type of elastomer and the development of a process to convert it into a final bandage could begin. A full cross-functional project team was formed to develop the next generation of compression bandaging. The team was given the challenge to design a compression system that reduced the number of bandage layers to be applied without compromising the performance, safety and efficacy of a multi-layer bandage system. This new system was to become the PROGUIDE â¢ range of products. Contain no known sensitisers (e.g. latex, colophony or thiurams). In close collaboration with customers from a number of different countries, the team chose to meet this brief by developing a kit based on only a single compression bandage and enhanced wound contact and padding layers. In order to achieve this, three brand new components had to be developed. Standard multi-layer kits contain a low adherent wound contact layer with minimal absorption capacity. The other layers of the kit absorb the exudate produced by the leg ulcers. By reducing the numbers of layers, the absorbency of the new kit would potentially be lower. It was therefore decided to introduce a new highly absorbent, low adherent wound contact layer based on Allevyn â¢ dressing technology to counteract the reduction in the number of layers. The new dressing was based on a standard ALLEVYN â¢ dressing but with a second perforated wound-facing surface replacing the standard waterproof backing film. This design allows the dressing to be used either way up and allows excess exudate to pass through into the absorbent padding layer. The new padding layer was also designed to be more absorbent to compensate for the reduction in layers. It was designed to be more resilient than existing padding layers so that it gave better cushioning and was increased in length from 3.5m to 4m to enable the bandaging of longer legs. 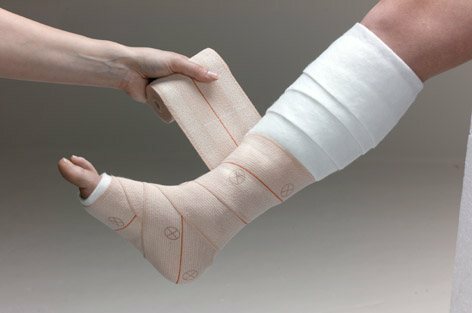 The main technical challenge came in the design of the compression bandage. The main criterion for an ideal compression bandage was that it should achieve the desired compression force regardless of how far it had been stretched. This type of behaviour would make it safe to apply and efficacious as only the correct compression force could be applied. The performance of a compression bandage is primarily due to the type and quantity of elastomer used in its construction. The science team at Smith & Nephew's Group Research Centre identified an elastomeric polymer with this type of characteristic. This elastic had an unusually shaped extension curve and this became the basis for the VARI-STRETCH â¢ technology that is used in PROGUIDE â¢. Normal elastomers generally show a steady increase in force as they are stretched whereas the new vari-stretch elastomer shows a rapid initial increase but then levels out to show little further increase with increasing extension (see diagram of load vs. extension curves). Finally, the bandage was to be coated with adhesive to reduce the risk of slippage between layers. A discontinuous pattern was chosen so that the applied bandage would allow moisture vapour to escape from the leg. This makes it more comfortable for the patient to wear and also increases the exudate handling capacity of the system by allowing the evaporation of fluid. A ladder pattern was chosen so that a stable bandage structure could be formed. The edges of the ladder reduce the chance of slippage occurring whilst the crossbars reduce the risk of wrinkling of each layer. Having decided what the construction of the bandage would be, the next step was to decide how many kits would be required. The Laplace equation shows how the sub-bandage pressures achieved by the product are affected by the size of the leg circumference . Where 4620 is a constant factor that includes unit correction. The equation shows that the sub-bandage pressure is directly affected by the size of the ankle. In order to achieve close to the target of 40mmHg compression, it was decided to make the PROGUIDE â¢ product available in three kits with varying amounts of elastomer. 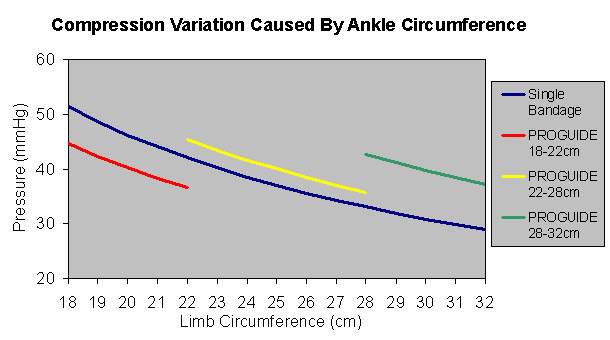 The following graph shows the variation in compression that would be caused solely by changes in ankle circumference for a single bandage system compared to the three PROGUIDE â¢ kits. The design of the product sounded great on paper, but would it perform as predicted? The prototype samples started the long cycle of testing to ensure that the needs of the clinician and patient would be met. After nearly two years of development work, the three components of the new PROGUIDE â¢ product were ready to be evaluated. Testing had been performed throughout the design phase of the project but the final design of the product had to be verified before starting a large clinical trial that would validate the design. Absorbency. Simple laboratory testing of the absorbency of the wound contact and padding layers confirmed that the PROGUIDE â¢ system was at least as absorbent as multi-layer systems (like PROFORE â¢). Testing on a simulated wound model also confirmed that this level of absorbency was sufficient for the product to manage typical exudate levels for a period of up to 7 days. Compression. 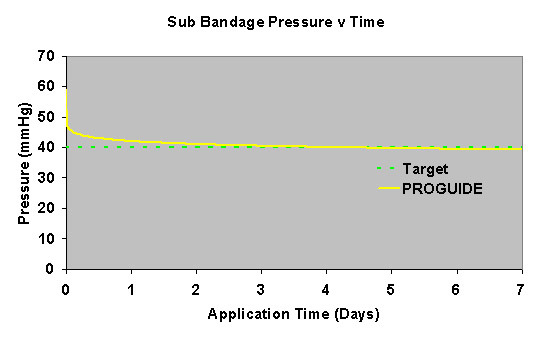 The target for the PROGUIDE â¢ kits was to maintain 40mmHg compression for up to 7 days. The testing showed that this was achieved . Pressure variation 30 to 70% extension. Because of the shape of the extension curve, it was not possible to test the bandages by BS7505. An internal method to evaluate the performance of the bandage over its designed working range was devised. 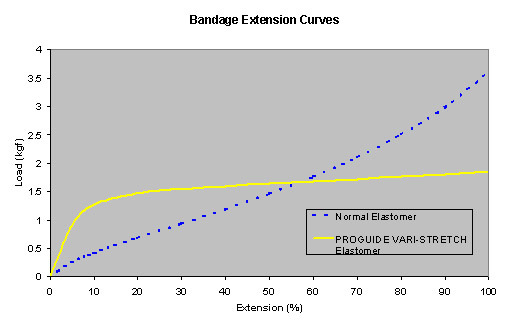 This method was based on the extension principles of BS7505, but instead of extending the bandage to a force, it was extended to 100% extension twice and the results taken from the second retraction curve. 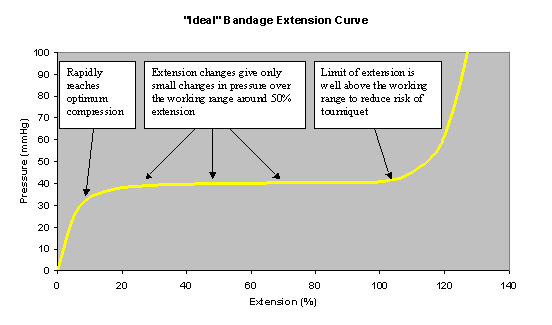 The main performance area for the bandage was between 30 and 70% extension with the target at 50%. Measurements were taken in this region to show that the increase in compression levels between 30 and 70% extension were as low as possible. An independent assessment of the performance of PROGUIDE â¢ system has been published previously . In order to prove the efficacy of the product in practice, a 300-patient trial comparing PROGUIDE â¢ with PROFORE â¢ has been conducted. In order to recruit the patients in the shortest possible timescale the trial was performed in 24 trial centres around the world in Australia, USA, Germany, Ireland and the UK. In July 2001 the first patient was recruited and a year and a half later on 14th February 2003 the final patient completed the study. Following completion, the statisticians analysed the results to provide the evidence needed to support the full launch of the product. While the clinical trial was being performed, work was progressing on scaling up the manufacturing process. In particular, the manufacture of a machine to make the compression bandage layer offered the greatest challenge. A machine was required that could print the extension indicators onto the fabric, coat the adhesive ladder pattern, measure and cut the bandage to length, wind it onto a core and apply an adhesive protector. As no such machine existed, a bespoke design had to be commissioned and built. The timescales had to be shorter than for the clinical trial so that product would be available as early as possible. Work started on the machine design in August 2001 and just over a year later, the new machine was delivered. After a period of installation, set up work and validation, the first bandages for launch were produced in December 2002. The PROGUIDE â¢ range of compression bandage kits was launched in Europe in May 2003 at the EWMA conference in Pisa. This marked the beginning of the launch cascade throughout Europe and the rest of the world. This revolutionary new bandage system is the culmination of 15 years of development in compression bandage therapy. Sibbald G. Addressing the issues: what is the role of sustained compression today? Symposium presentation at Innovations in Wound Care Week, 5 Sept 2001. Elastomeric â an elastic containing material that returns to close to its original length after stretching. Working tension â the tension applied to a bandage to achieve the target compression level. 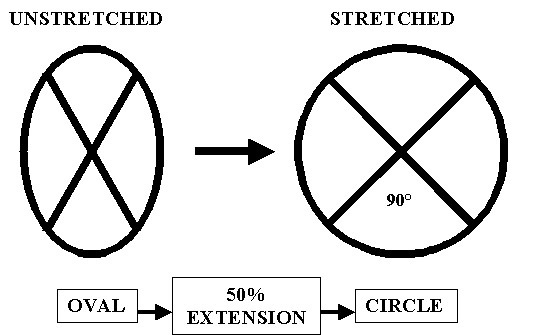 VARI-STRETCH â a unique elastomeric material that shows minimal increase in applied compression levels when extended between 30 and 70% extension (i.e. it is possible to vary the stretch and still get effective compression). The 2nd World Union meeting was held in Paris, France (8-13 July) and brought together under a single umbrella all the major scientific societies and sponsoring societies involved in wound care around the world. This important event emphasised the growing need for information concerning the management of chronic wounds. To develop global visibility for this new discipline. The World Union highlighted the widespread differences in practice around the world, due largely to a lack of evidence and availability of resources, and provided a forum for education and debate. The meeting offered a varied and interesting programme, and attracted over 5,000 participants, including nurses, physicians, allied health professionals and scientists who are working in the field of wound healing. During the meeting, it was announced that the 3rd meeting of the World Union of Wound Healing Societies will be held in Toronto in 2008. For further information, please visit http:///www.wuwhs.org/. With the aim of providing principles of best practice on minimising pain at wound dressing-related procedures, the World Union of Wound Healing Societies has produced its first international consensus document. 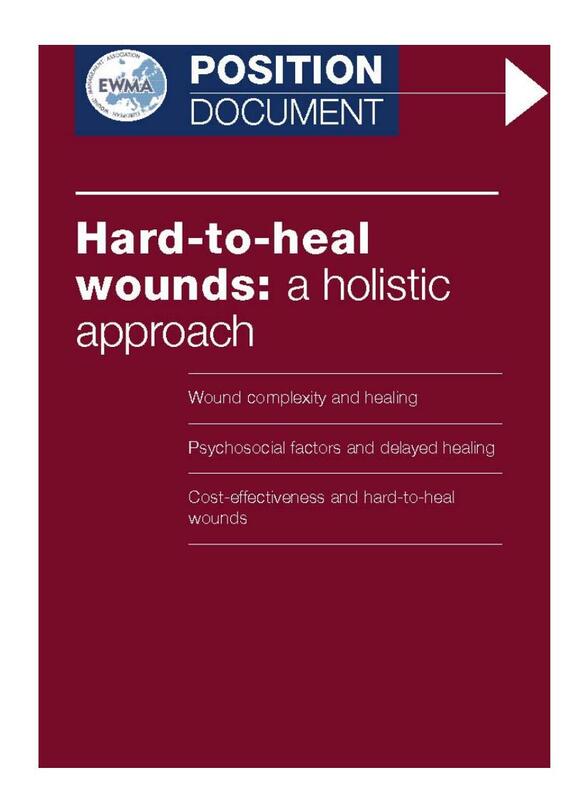 This was launched at the World Union of Wound Healing Societies' second world conference in Paris, 8-13 July. This educational initiative has been inspired by two seminal documents: the European Wound Management Association (EWMA) position document on 'Pain at wound dressing changes' (MEP Ltd, 2002) and the supplement entitled 'Practical treatment of wound pain and trauma: a patient-centred approach' (Ostomy Wound Management, 2003). "It is only in recent years that the importance of pain in caring for patients with wounds has been recognised. There is now an opportunity for individuals, societies and associations to try and improve and influence the way in which practitioners deal with all aspects of wound healing and one of those is pain," says Professor Keith Harding. Luc Teot, at the launch of the consensus document in Paris, said: "It is impossible to guarantee that every patient will have no pain. But all patients have a right to a minimum standard of professionalism. Ignorance of modern knowledge and techniques is no defence." For the concept of best practice to make a real difference to patient care, clinicians should adopt these recommendations and share them with colleagues, patients and carers. 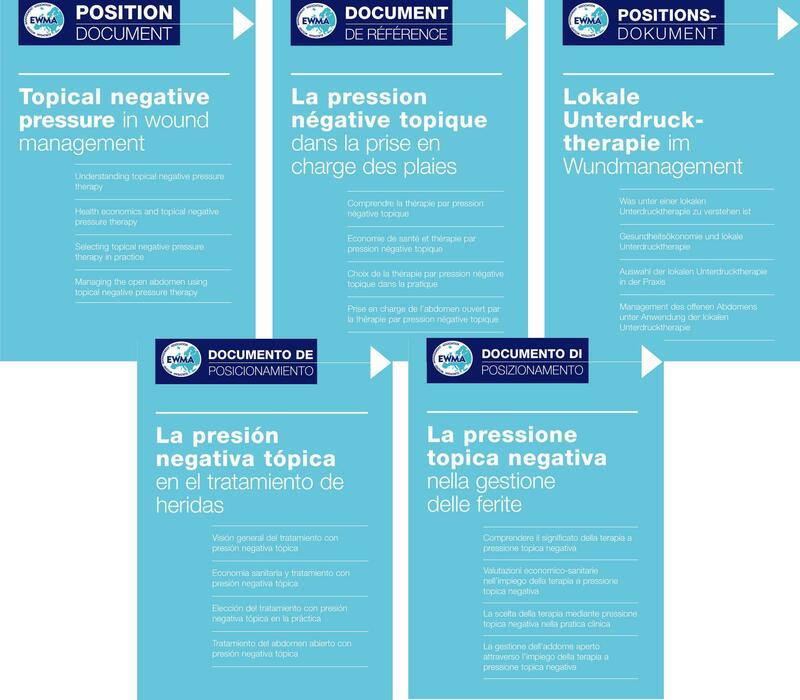 'Minimisng pain at wound dressing-related procedures' has been supported by an unrestricted educational grant from Molnlycke Health Care and is available in English, French, German, Italian and Spanish. 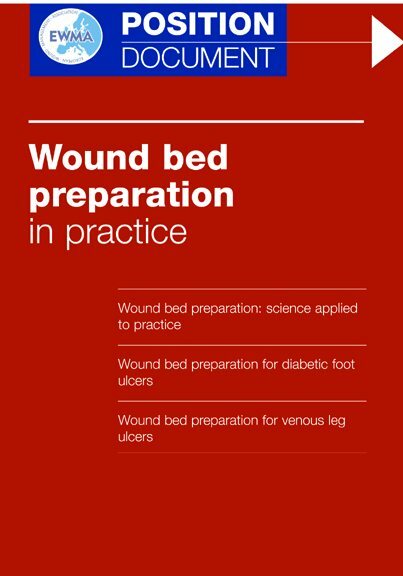 With the aim of providing a better understanding of the concepts of wound bed preparation, EWMA have produced 'Wound bed preparation in practice', its third position document. 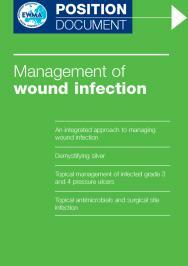 This was launched at the World Union of Wound Healing Societies' second world conference in Paris 8-13 July. By producing this document, EWMA hope that it will stimulate an international debate and help clinicians at all levels to integrate the TIME framework as part of every day practice in order to improve healing in chronic wounds. 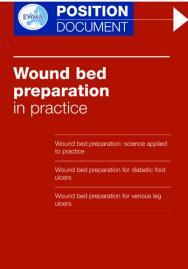 'Wound bed preparation in practice' has been supported by an unrestricted educational grant from Smith and Nephew and is available in English, French, German, Italian and Spanish. The Royal Society of Medicine is currently organising a one-day meeting entitled 'Wound management' to be held in Bradford on Friday 19 November 2004. The meeting aims to explore recent scientific advances and surgical developments in wound care and to examine their introduction into clinical practice and their impact on wound healing. This meeting will be of particular interest to trauma clinicians, A&E professionals, intensive care teams, nurses, laboratory-based scientists and all those interested in wound research and wound healing. For full details of booking, please contact: Miss Anke MÃ«uller, Academic Department, The Royal Society of Medicine, 1 Wimpole Street, London W1G 0AE, UK. Tel: +44 (0)20 7290 2980 Fax: +44 (0)20 7290 2977, Email: anke.muller@rsm.ac.uk or visit http://www.rsm.ac.uk/regions/. This is the first call for papers for Wounds UK 2004 to be held in Harrogate on the 16th and 17th November. Wounds UK 2004 is the third event of its kind and promises to build on the success of previous years. The conference is aimed at practitioners actively involved in wound management and will provide an opportunity to hear leading speakers from all over the world. The exhibition will supply information on the latest wound care products. Further information on this years' event and details of the 2003 conference are available from http://www.wounds-uk.com/. Links to news items from previous years can be found on the Archive Page.